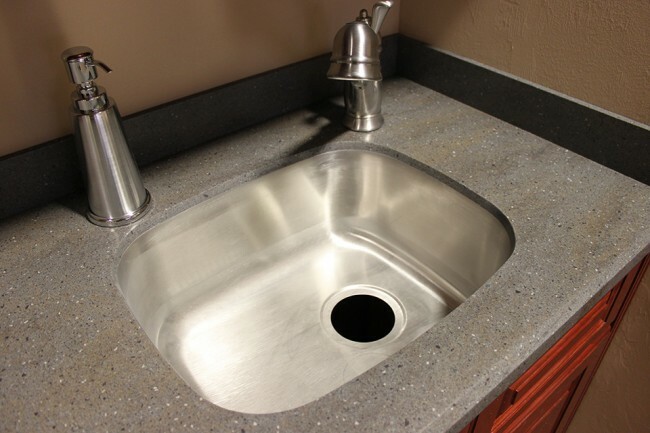 Lansen EDGE stainless steel sink under Corian Lava Rock « Beverin Solid Surface, Inc.
Lansen EDGE offers several stainless steel undermount sinks which finally can be undermounted on Corian without the need to seal it with silicone. The sinks come premanufactured with a rim to be glued straight to the solid surface countertop to leave virtually no seam. Undermounted on Corian Lava Rock.